Compared to individual investors, hedge funds have more resources and better capacity to pick winning stocks. Still, that does not mean that hedge fund picks are profitable or the ones that outperform the broader market. However, when several hedge funds see potential in a particular stock, it could be a signal to general investors that the stock might gain in value in the coming period. It could also suggest that the stock boasts particular value, such as high dividend yield, that appeals to investors. 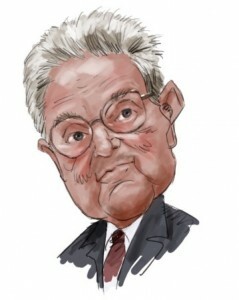 Many hedge funds like George Soros’ Soros Fund Management and Seth Klarman’s Baupost Group allocate the highest percentages of their portfolio assets to technology stocks. Several technology stocks were popular with hedge fund managers in the first quarter of this year. A glance at fund activity in the technology sector in the previous quarter reveals interest in the shares of Seagate Technology (STX), Pitney Bowes (PBI), Lexmark International (LXK), and Nokia (NOK).